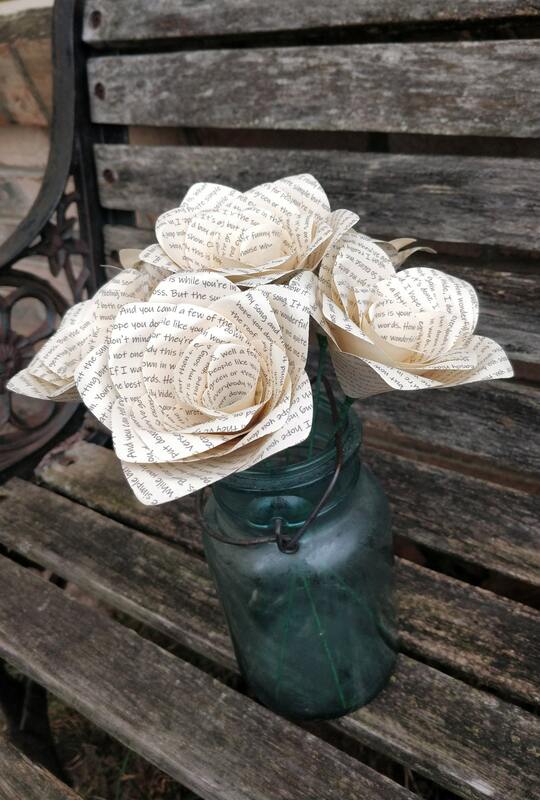 Custom Song Lyric Bouquet. CHOOSE YOUR SONG! 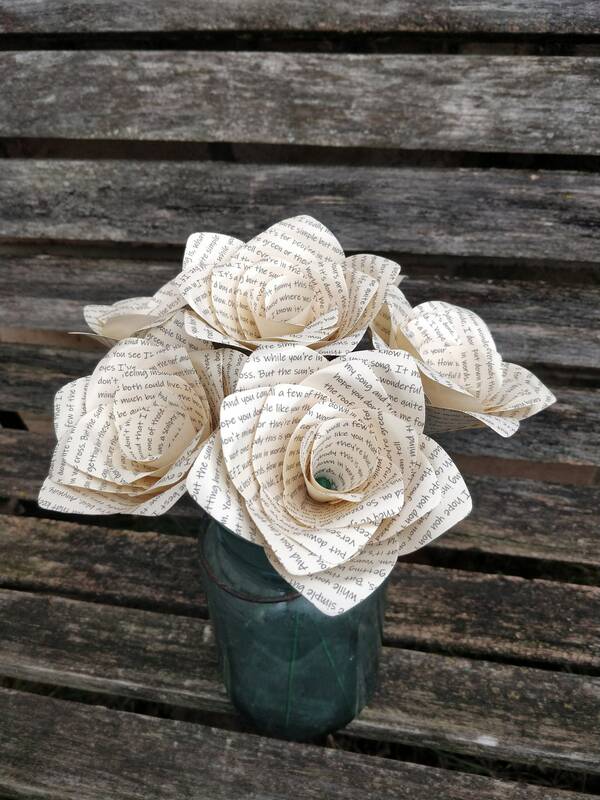 Valentine, Anniversary, Wedding, Centerpiece, Gift For Mom. 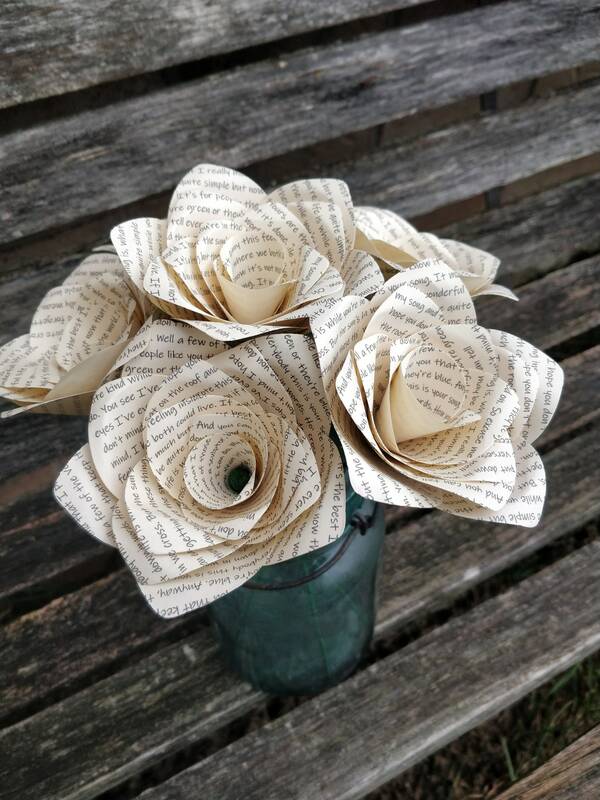 This beautiful bouquet can be made with your FAVORITE SONG LYRICS. 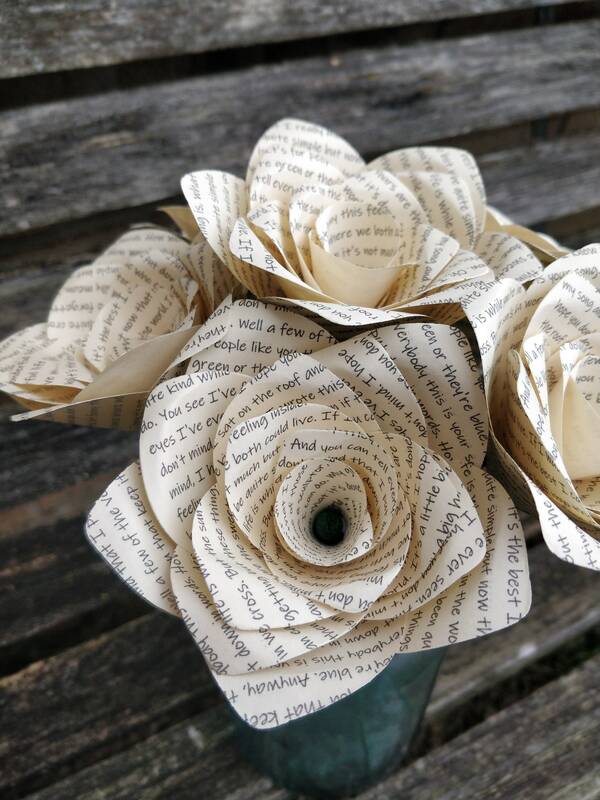 Made from 6 roses, these flowers are carefully assembled by hand and put on green flexible stems. Your music can be printed on any light colored paper. Please let me know at checkout what song you want, and what color paper you want your music printed on. (Music will not show up on colors like navy, merlot, avocado, royal purple, plum, black, etc... I strongly recommend staying with something on the lighter side!). White, ivory, light pink, lavender, and light grey are the best. 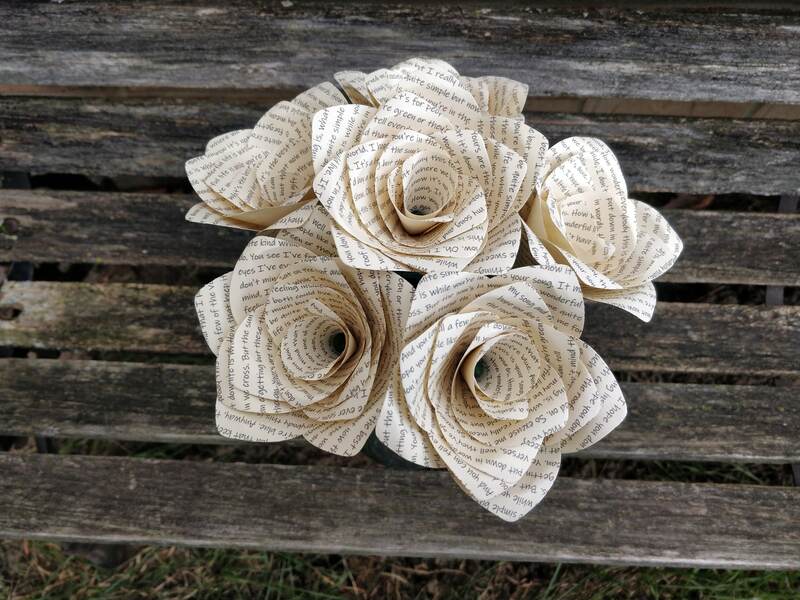 These flowers make a perfect gift or great decoration or centerpiece for any party or event! PLEASE allow me a few days to put one of these together. Wonderful Valentine's Day, Mother's Day, Anniversary, or Birthday gift! If you would like a bigger (or smaller) bouquet, just convo me.